The famed mystic Rabbi, Ha Rav Nir Ben Artzi during the month of March (2017 in the first year of the Era of the Messiah) began to focus his global messianic predictions around the world. As reported by Adam Eliyahu Berkowitz with Breaking Israel News, he noted of great interest how Rabbi Nir Ben Artzi’s past predictions continue to come true as prophesied. In a recent Jewish synagogue sermon Rabbi Nir Ben Artzi unleased a litany of future and potential disasters that include not only earthquakes, major oceanic and tsunami storms, but also recent international plane crashes whose causal destruction came as stellar EMP bolides of HaShem’s divine judgement in response to global political events. This end of days scenario suddenly erupted in March, 2016, when seven major earthquakes struck Japan and Ecuador and crashed into both coasts of the Pacific within 96 hours. To many of the interpreting seismologists, this is only the beginning of a long range global process of evolutionary development. The rabbis and the believers of the rabbinic faith whether Jews, Lost Ten Israelites or believing Noahides, we are instead watching carefully the development of the global messianic process of recreating a new Gan Eden that will first be revealed to begin on the Temple Mount in Jerusalem. The Temple Mount will expand to include the whole State of Israel. The Land of Israel will then expand to include the whole Middle East from the Nile to the Euphrates. The Middle East will expand to include the entire Planet Earth. It was in the summer 2016 that earth scientists began to see the remodeling of Planet Earth. Over 500 people were killed when a 7.8-magnitude earthquake hit Ecuador. 1,700 people remained missing, over 4,000 are injured, and thousands more are wandering homeless. Within 94 hours, a 7.3-magnitude quake hit Japan’s southern island hour later, while over 600 smaller tremors continued to shake the survivors. The death toll in Japan stands at 47 killed, more than 1,000 injured, 8 missing, and over 100,000 left homeless. Other less-deadly earthquakes were felt around the world. Many scientists are convinced that this recent epidemic of earthquakes is just a prelude to increased seismic activity around the globe in unprecedented magnitudes. Experts from India’s Ministry of Home Affairs warned in January that yet another major quake, equal or larger than the last disaster, can be expected in the region. Seismologists at Tokyo University estimate there is a 98 percent chance that in the next 30 years Japan will be hit by another major earthquake of catastrophic proportions. Earlier in 2011 a 9.0-magnitude quake killed over 20,000 people, but its destructive effects didn’t end at mere earth-shifting. Japan’s Fukushima power plant was designed to withstand earthquakes, but a meltdown occurred when the ensuing tsunami washed away generators powering the emergency cooling, leaking large amounts of radioactive material into the atmosphere. This apocalyptic scenario could easily be repeated with devastating results in many developed countries, including the US. Nuclear power plants in California, New York, Washington State, and Arkansas are situated near major fault lines. Other plants in Maine, Pennsylvania, and Virginia have raised concern of their earthquake survivability with the Nuclear Regulatory Commission but were deemed within acceptable standards. Especially at risk is the Diablo Canyon Nuclear Power Plant in California, which is situated directly on the ocean, making it very vulnerable to tsunamis. It sits in an earthquake red zone, in close vicinity to four active fault lines, one lying only 2,000 feet away from the plant’s two nuclear reactors. The facts exist that tsunamis are far more devastating than the earthquakes that trigger them. In 2004, the Banda Aceh earthquake, barely felt on land, created a tsunami in the Indian Ocean that killed about 250,000 people in Sumatra and Indonesia. A recent study by seismologists at the University of California suggests that Southern California is at greater risk of tsunamis than previously thought. A 7.0-magnitude earthquake in the Ventura Basin Fault could generate a tsunami that would penetrate up to two kilometers inland in less than half an hour, devastating a heavily populated area. The rabbinic understanding of this prophecy has over the centuries is today now supported by the opinions of many scientists. The Land of Israel sits on the Syria-African rift, which runs along the Dead sea Valley. It passes through the area thought to be the sites of Sodom and Gomorrah, and the city of Jericho, which still stands today. The Biblical accounts of the destruction of the twin cities of evil, and the later account of the falling walls of Jericho, could very well be interpreted as divinely powered geologic catastrophes. According to the CATDAT database, the socioeconomic loss and metrics from natural disasters globally suggests that floods have caused the highest damage, earthquakes and storms show an increasing role in recent times. The overall data suggests that Natural Disasters since 1900 have resulted in over 8 Million Deaths and 7 Trillion US Dollars damage since 1980. Rabbi Artiz’s predictions appeared to dove-tail closely the catastrophic waves in which from 1900 up to the summer of 2015 it appears to align themselves with numerous global incidents around the world. The dual higher magnitude wave of major earthquakes which included a 7.8 magnitude quake in Ecuador that killed over 500 people, and a 7.3 magnitude quake in Japan that killed over 50 appears to come in alliance with global catastrophes as Seismologists were beginning to become more spiritually inclined that prophecy was connected to the end-of days. And while lost planes are uncommon in these technologically-advanced days, it is nearly three years to the day since the Malaysia Airlines Flight 370 vanished into thin air. Rabbi Ben Artzi’s other predictions focused on the Middle East, ranging from the impact of Donald Trump’s presidency on Israel to the Israeli-Palestinian peace process and radical Islam. There has been “One presidential promise that has been reneged upon and failed in the campaign promises of his President Trump’s predecessors was the promise of the American presidents that they would move the US embassy from Tel Aviv to Jerusalem, the capital of Israel. This one issue has captured the international attention of all the nations of the world as to whether President Donald Trump will move the US embassy from Tel Aviv to Jerusalem? Yet not realized due to the subdued coverage of the international media was the fact that there was currently already a delegation of two congressmen who arrived in Israel to begin scouting locations for the embassy in Jerusalem and putting the move into motion. Rabbi Nir Ben Artzi prophetic insight that ISIS has a Divine Role in the end-time Messianic Era. Yet the role of ISIS since its founding in 2014, ISIS has committed dozens of terror attacks in Europe and Turkey and killed hundreds of civilians, apart from its genocidal plan to wipe out all non-Muslims within its territories. The reality is that Rabbi Ben Artzi has made similar predictions in the past that have come true in shocking detail. Over a month ago, Breaking Israel News reported a prediction made by the rabbi that black magik will make a comeback in the world. It will be the adepts of “Black Magik” supporters that will focus on the world leaders like US President Donald Trump and Israeli Prime Minister Benjamin Netanyahu. Less than two weeks later, opponents of President Trump gathered outside Trump Tower in New York City in an attempt to curse the president and his supporters. They sent out a call on social media for others to join in, with detailed instructions on how to perform the black magic. In the week before December 16, 2016, Breaking Israel News reported again, this time on the failed launching of Russia’s advanced S-300 anti-aircraft weapons system to Iran, again Rabbi Nir Ben Artzi stated that it was not necessary to worry. It was in a vision when Rabbi Nir Ben Artzi received included a biblical inspired vision when he was shown the fate of the missiles. In December, a video went up on YouTube showing precisely what the rabbi had prophesied: a missile shot out of an S-300 launcher but its rocket failed to ignite. The missile dropped back onto its launcher, exploding inside the bunker. We must honor the fact that as Jews and Lost 10 Israelites, we also were given access to live in the Holy Land of Israel subject to conditions as outlined by the G-d of Israel. The condition of any of the Twelve Tribes of Israel, their remaining in “The Land” came with one proviso; “Conquer the Land”. “Drive out the Canaanites (Palestinians)” who were corrupting the land given by the G-d of Israel to Abraham in an epic contract for all ages; guaranteed by the Sovereign power of G-d. This is the same “Divine Contract” that has been given also to the last Israeli Prime Minister of the State of Israel; Benyamin Netanyahu, which he is mandated by G-d to honor today. 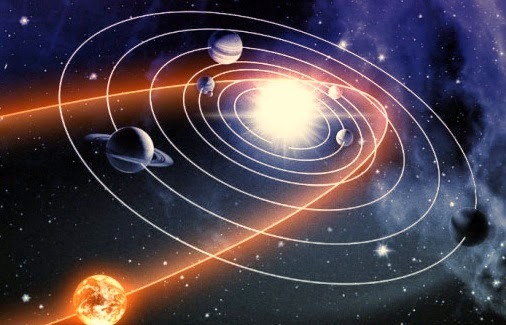 After the Government of Israel comes under the yoke of Metatron, Melekh HaMaschiach’s (King Messiah’s) Divine rule in Jerusalem, only then will the Commonwealth of Israel’s rule extend all over Planet Earth as HaShem’s Solar Rex Capital of our Solar System. Conquer the Ancient Canaanite lands in Galilee, Shomron (Samaria) and Judea and the East Side of the Jordan River in Basham and Assyria. Return the Palestinians back to the lands of their Ishmaelite forefathers in Jordan on the East Bank of the Jordan River and beyond in the deserts of Arabia. Support the Jewish people in building towns, industry, re-foresting the Mountains of Central Israel, for it is the Divine Mandate that the Jewish people and the Lost Ten Tribes of the House of Israel must settle, plant fields and orchards, develop spiritual technology, create cities of holiness as our act of “arousal from below”. Support the Jewish Rabbanim in creating an atmosphere of holiness in Jerusalem and the cities in Israel so that the G-d of Israel can open the “floodgates of heaven and herald in the future, Olam HaBah (World to Come) as we welcome the elevated level of consciousness that is part of the futuristic “Era of the Messiah”. So role as G-d opens the flood gates of heaven, even we as the Lost Ten Tribes of the House of Israel, may step through the interdimensional vortex into the futuristic 4th dimensional world of messianic consciousness. Joel David Bakst – “Just as in the human body neural pathways are already built into us, likewise the inter-dimensional pathways are already built into us, likewise the inter-dimensional circuits that spread out from Jerusalem throughout the world are built into creation. The future waterways referred to are not only something that will be created totally new. These virtual global “cerebral neural networks” and passage ways already have their channels carved out in the extra-dimensional planes. The kedusha/holiness of Eretz Yisrael (Land of Israel) will spread to the whole world. Let us link their prophetic understanding as we prepare ourselves for our catastrophic and redemptive future. So what will be the potential effect of the Red Twin Binary Star have upon our Planet Earth? If we evaluate the futuristic Maps of North and Central America, this is what we may see affecting the North America including the United States, Canada and Mexico? Water will cover the coastline of the Pacific Northwest all the way down from the Alaskan Peninsula, extending for hundreds of miles over a good portion of the States of Washington, Oregon and all the way along the California coastline to the Baja region of Northern Mexico. The volcanos in the Pacific Northwest will begin to erupt, the earthquakes begin to rumble, the tsunamis will race across the oceans to devastate the shorelines of the continents on the other side of the oceans. The Molten Iron Core of the Earth will continue to energize more and more, so that the plumes of magma erupting from the “magnetic core engine” of Planet Earth become so strong that they raise the beds of the maritime trenches of the Pacific Ocean and push up the mantle of the earth, according to “earth-change” researchers between 200 to 600 feet higher under the waters of the Pacific. As such the oceanic floor of the Pacific Ocean will rise from below, the oceanic waters above will begin to rise up higher and higher until 80% of Oregon, all of Nevada, 3/4th of Utah and parts of Northern Colorado will be under water. The entire coastline of California, including San Francisco, Los Angeles and San Diego all the way down to Baja California will be inundated like the ancient cities of old in past catastrophes. Parts of ancient maritime continents in the mythology of human peoples, may also rise such as the ancient mythical lands of Lemuria in the Pacific and Atlantis in the Atlantic Oceans. The Mississippi River will open up engulfing all the lands to its south into the Gulf of Mexico. The Gulf of Mexico will also be engulfed as water will rise several hundred feet inundating Houston and lands south of the escarpment resting to the south of Dallas and Fort-Worth. The Islands of the Caribbean Sea will completely go under the water including the Petén in Mexico, Cuba, Puerto Rico and Haiti and the Dominican Republic. Along the Eastern Seaboard of the United States, Florida will be inundated and Miami is expected to be immersed as it sinks under the rising waters of the Atlantic Ocean. The Atlantic maritime coastline will also be submerged east of the Appalachian Mountains. 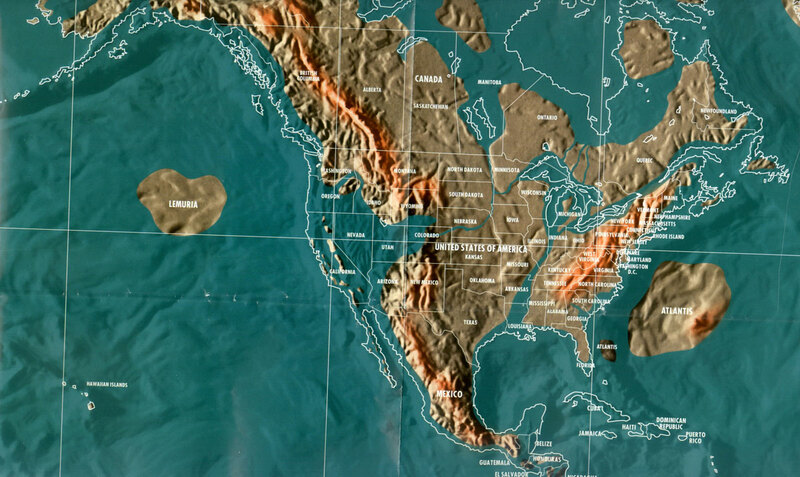 The Atlantic maritime coastline along the eastern coastline of the United States and Washington DC, New York, Philadelphia and Boston will be prone to mega-tsunamis hundreds of feet in height. As we dwell upon these momentous days in our near future, we have to ponder the words of the prophets of the Hebrew TaNaKh and the Essene disciples of the esteemed Nasi of the Jerusalem Great Sanhedrin, Hillel the Great and his Beit Av Din, Menahem the Essene whose Orthodox disciples fled to Damascus first and later to Qumran. Revelation 6:12 – “Then I watched as he broke the sixth seal, and there was a great earthquake, the sun turned black as sackcloth worn in mourning, and the full moon became shaken by strong wind. The sky receded like a scroll being rolled up, and every mountain and island was moved from its place. There were flashes of lightning, voices and peals of thunder; and there was a massive earthquake, such has never occurred since mankind has been on earth, so violent was the earthquake. All of you have wondered how the G-d of Israel will bring all the prophetic events to their fulfillment at the time of the end. Watching the “Finger of the Divine” stirring up nations of the world is far more fascinating than watching a movie drama. The end results will be that all nations will pool all their economic resources at the “gates of Israel” and be prepared to once again to evoke the “Final Solution” this time amongst the remnant of the Jewish peoples that include all the Jews of the Diaspora that have fled to Israel as a land of safety before their life would be thrust through the "gate“ into "the world to come”. Yet, at that time, a massive influx or possibly mass migrations of the Lost Tribes of Israel will be returning home led by the spirit of HaShem. And during this same time, the G-d of Israel is wooing each one of you, the Lost Ten Tribes of the House of Israel, to return and be restored back into brotherhood with the Jews of the House of Judah so that He will send His Messiah to clean house of all the wickedness and corruption on Planet Earth. Christ prophesied all these calamities in Matthew 24.